Xcape has a lot of escape rooms and has been quoted to be one of the largest and best in Singapore. I've only been to one room so I can't say much, but I wasn't 100% pleased with the service here. The best rooms are the scary ones, such as Annabelle (where they said they actually bought the Annabelle doll from the museum). I won't be reviewing that cos I'm a scaredery cat lol.. Anyway, go to the corner of Bugis Street and up the stairs at Xcape season 2 and tell the staff you want to play Upside Down. It's actually a Harry Potter themed escape room so I guess HP fans will take some joy in this? Unfortunately I forgot a lot of my HP knowledge but it doesn't really matter actually. This room is a single room, which means that you won't be unlocking doors to another room or climbing to another compound, etc. There are some cool mechanics in the room, don't worry. Here's a short food review of No. 6 Restaurant that we been. Thai food here is simply great! Please note that there are 2 No. 6 restaurants in Phuket, and they are both linked to each other. One is a street shop while the other is at the hill top. You can get a free ride up the tuk tuk from the street stall and the hilltop and vice versa, so don't be skeptical if any of the staff asks if you would like to go to the other No. 6 restaurant when the current one is full. 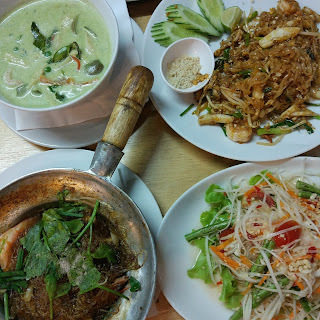 This is what we ordered at the street stall - green curry, pad thai (squid), glass noodles and papaya salad. Together with some Chang Beer, think we spent about 590 baht (~S$24) on this (really super duper worth it!). I love pad thai and this is very awesome - one of the best I have ever eaten!! A bit on the sweet side but not too unappealing, really a must try for all visitors! YES FINALLY THE LAST REMODEL POST Not sure whether the game developers just have no idea how to decorate the workshop or is it just too much work to do it, but to be honest I don't fancy both designs. So ya ya bla bla ba I love Virtual Families 2 but currently I'm getting quite frustrated cos everyone is having cough at home..
Ok not going to keep repeating. Just take a look to decide what kind of office you like. 2 things: 1. You cannot get the original office once you have remodelled (no loss to be honest). 2. You can keep using the remodel you bought without extra cost. Office Remodel in Blue I actually like this very much! But nope not what I chose. Think it is a bit depressing to work in a room in dark blue. Dark Office Remodel If you are trying to create a dreadful and dull working environment then go ahead! I'm definitely putting too much emotions and whatever colour psychology knowledge I have left to deter my people from going crazy while working in this room. 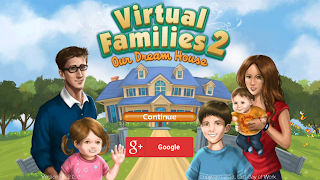 Virtual Families 2 is hands down my favourite game app (other than candy crush). I play all other games from Last Day of Work as well (including virtual villagers, virtual town, etc. ), but this is my favourite. Really can't wait for Virtrual Families 3 to be out! Ok so while deciding to spruce up my home, I realised I couldn't see how the upgrades would look like from my tiny phone. As such, I googled, but surprisingly I couldn't find any screenshots of pictures of the upgrades though the game is from 2012!! Hence burning my money to create these screenshots.. This is the original bathroom. Looks quite nice actually but don't think it will last you more than 5 generations before being sick of it. Please note that when you change the bathroom, there's no way to get the original bathroom again! Disclaimer: The soap, toothbrush, and towels are bought by me. Don't freak out if you realise your bathroom doesn't have those items! 1. The leader Most of the time, the boss. The one who leads the meeting. Duh, because how else are we going to finish the meeting on time with 2s and 6s on hand.. When the leader talks, nobody talks. That's what I love about meetings because when the leader stops, it's time to go home! 2. The speaker There is always this group of people who MUST say something in every meeting whether or not it is constructive. Call them attention seekers or bootlickers if you must, but they MUST. SAY. A. WORD. if not nobody will know they are present. There could be an unspoken who-gets-the-most-airtime-wins competition between them, who knows? But I love it when they talk because it's a clear signal of toilet time for me! Disclaimer: This walkthrough is going to be long. 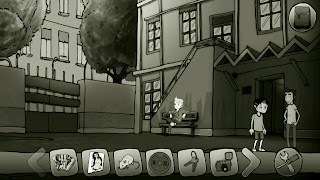 Unlike usual escape room or puzzle games, Désiré makes you return to the same scene to respeak to people in order to continue the game. Gets a bit messy but at least no items pop up only at certain parts of the game. From the previous part, you somehow faded into the old man's house after burying the love egg in the wooden box. The old man will be talking a lot to Désiré, mostly telling him how foolish he is. 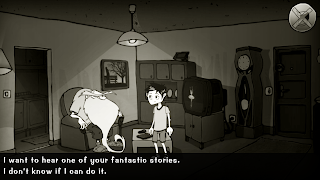 Talk to the old man and click on every sentence until the only statements left are "I want to hear one of your fantastic stories." and "I don't know if I can do it". Apparently you will learn about this guy named David who bullies Désiré because he knows Désiré's secret of (play to find out). The old man would give the most ridiculous solution of taking revenge, which Désiré would end up doing anyway.